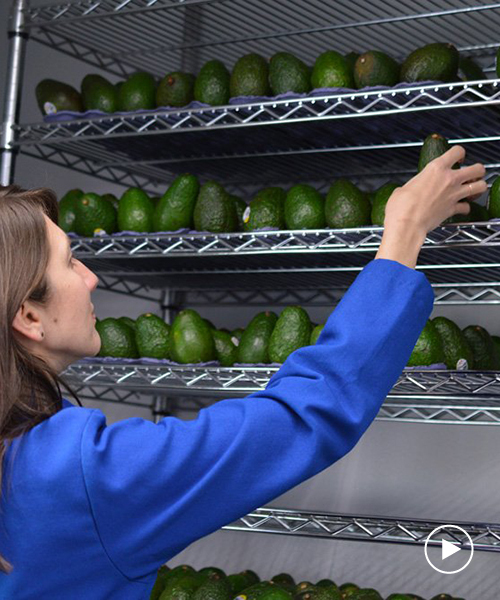 costco has started selling avocados covered in an invisible, edible coating created by food-tech startup apeel sciences. the coating slows down the decaying process and is designed to be sprayed onto produce, extending the shelf life by two weeks in some cases. the coating is made from leftover plant skins and stems, drying once applied, and locking in moisture as well as protecting from natural gases like oxygen and ethylene that start the ripening process. apeel sciences, a california-based startup, has developed products for other foods including peaches, lemons, pears, with each one demanding a different recipe. the tech could offer stores a cost-effective way of preserving produce, helping reduce waste. whether or not the spray will be available for personal use has not been confirmed.